Supplements are here to stay, but not everyone is on board. If you or a loved one hasn't gotten on the wagon, test your skepticism with these four well-researched nutraceuticals! In recent years, thanks to a number of high-profile studies and a profusion of evidence-based discussion in the fitness community, we've come a long way toward legitimizing supplementation in mainstream culture. Not that long ago, it seemed like the stereotype of a supplement-taker was either an immense, scary dude in a muscle mag ad, a hippie trying to outsmart the medical establishment, or a hypochondriac. Today, there is no clear stereotype. 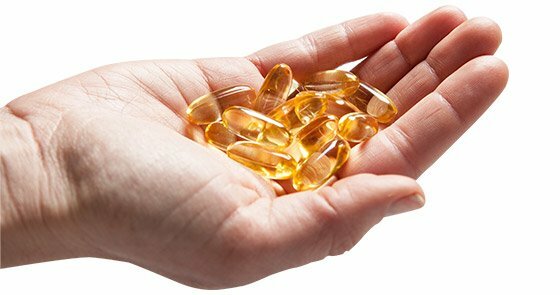 People from all walks of life take supplements and receive benefits from them, and some supplements, like fish oil and protein powders, have become so common that people don't really treat them like supplements anymore; they're more like something hovering between a food and a vitamin. They believe that nutritional supplementation is inferior to medicine, and thus useless. They are skeptical of supplement industry, its standards, and don't trust the physical product. They don't want to consume psychoactive compounds that alter their perception. They don't want to consume "unnatural" things. Now let's address them. Modern medicine still has its place, but given what we now know about supplements' benefits, it's definitely a leap of logic to call them "useless." As for number four, it's a shaky type of argument known as "appeal to nature"—in other words, we assume that if something is "natural," it must be good, even though none of us can say for sure what "natural" is. When it comes to the other two, they are valid to a point, but they can be overcome with three things: a solid body of research, a trustworthy company, and an improvement in how someone looks, feels, or performs. Here are four well-researched products that have the potential to crack someone's skepticism and make clear the advantages of smart supplementation. Creatine might seem like a surprising inclusion here. After all, it's well-known, and it doesn't have the best reputation among people who dislike supplementation. You may have already heard from them how it can damage organs, degrade your eyesight, and reduce mobility by making you puffy or "muscle-bound." 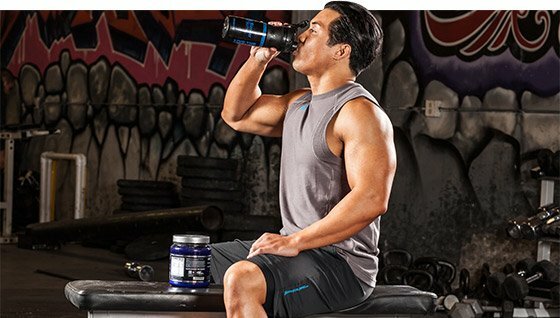 "Creatine stands out as one of the most extensively studied nutraceuticals ever." So why would we include it in this list? Quite simply, all of these dangers have been shown to be false, and creatine stands out as one of the most extensively studied nutraceuticals ever. Today, 21 years after the first commercial creatine supplement came out, it continues to serve as an endorsement of how supplements can help people feel and perform better. Creatine, as we have discussed before, is safe. It is amazingly well-tested, and has no known side effects aside from isolated case studies that can't place causation on the creatine. Creatine is cheap to produce, non-allergenic, tasteless, scentless, and soluble (depending on the form bought), which means it can be added to anything at a low cost without disturbing the palate. Beyond improvements to physical performance, creatine is increasingly thought to support a wide range parameters of health, with particular efficacy for cognition (memory formation, attention, reaction speed, and mood). It's an easy way for vegetarians and vegans to address common gaps in their diet and improve their training and athleticism, which is why we included it in our Examine.com vegetarian supplement stack. Technically speaking, creatine is completely natural, and there is already quite a bit in your body right now. 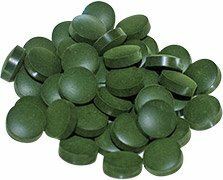 Spirulina is a dark green algae powder that is approximately half protein by weight. It sometimes gets labeled with superlatives like "the healthiest food on the planet," but this is a bit misleading, since it rarely gets used as a meal replacement. It's relatively rare as a protein supplement as well, since the most common dosages contain a relatively low amount of protein, generally somewhere between 2-15 grams. However, it is a complete protein, which is one reason why we include it in Examine.com's vegetarian supplement stack. In recent years, spirulina has gotten a big boost due to promising research into its primary active ingredient, a particular collection of proteins known as C-phycocyanin, which have shown great potential in studies as anti-inflammatory and antioxidant agents. Human studies suggest that spirulina might also improve lipid and glucose metabolism, while also reducing liver fat and protecting the heart. So it has a health narrative, but also an athletic one; it has shown repeatedly to improve endurance exercise performance at practical doses in healthy human subjects. It's also been deemed a "superfood," so people who are averse to ingesting what they perceive as "chemicals" might look on it more favorably. The one issue that spirulina has had to overcome is the threat of contamination from toxic substances known as microcystins. The problem is that the spirulina is a member of the phylum cyanobacteria, and most other species in this category produce microcystins. Spirulina is unable to produce microcystins, but if another bacterium from this family invades the production plant, then microcystins could, in theory, show up in their product. This isn't a reason to avoid spirulina, though. Since it has been used in developing nations as an alternative food supply, it has a substantial history of toxicology testing, and the takeaway is simply to be selective in procuring it. Buy from a reputable company with a good history of safety and product testing, and you should be fine. As nutrients, both vitamin D and vitamin K are considered "essential," meaning your body needs them but can't synthesize adequate amounts on its own. Vitamin D provides benefits for bone health, mood, and a host of other areas, while vitamin K plays crucial roles in supporting bone health and regulating blood clotting. "Vitamin D provides benefits for bone health, mood, and a host of other areas, while vitamin K plays crucial roles in supporting bone health and regulating blood clotting." In the body, the two nutrients are known to work synergistically, meaning each can improve the effects of the other, particularly when it comes to aiding calcium absorption and supporting arterial health. This is one reason more people are taking them together, and why they are increasingly common ingredients in calcium supplements. Another reason to consider taking vitamins D and K are the profusion of studies are showing their optimal intakes to be higher than their recommended intake level. In fact, the chorus shouting for the RDA of both vitamins to rise gets louder year by year. Food is generally inefficient for bridging this gap, which is where supps come in. At least for older individuals, this combination (alongside adequate dietary and magnesium levels) is widely recommended by medical professionals. There are numerous studies spanning multiple years using higher than the recommended doses showing no negative side effects. There are no significant psychoactive effects, although an elevation of mood from vitamin D is possible in people who are deficient in it. They are both relatively cheap and easy to find. 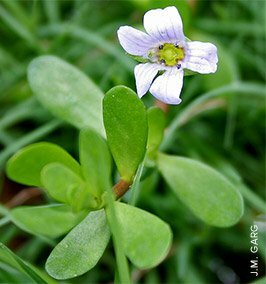 Bacopa monnieri, or simply bacopa, is an herb from Indian medicine, but don't bother trying to cook with it—it tastes horrible. Traditionally, it has been advocated as both a longevity aid and a cognitive enhancement supplement, but today, it's primarily sold as a cognitive aid. Now, understandably, a supplement skeptic will likely consider "cognitive enhancement supplement" to be a sketchy term and assume that it doesn't work. But in the case of bacopa, there is ample evidence suggesting otherwise. Whereas many cognitive enhancing herbs can point to 1-2 human studies—most only have animal studies—bacopa currently has eight or more studies which link it to things like memory enhancement and improved learning. It is probably the cognitive enhancer with the largest body of research behind it. Bacopa takes time to work, though. Studies that are too short tend to note either lesser or no effects, and studies that take multiple measures note that improvements are much better at 8-12 weeks than they are at 4-6 weeks. So don't expect anything dramatic right away.